When you're looking for a chocolate liqueur, it makes sense to turn to a company that specializes in gourmet chocolates. Godiva Chocolate Liqueur offers everything that you've come to love about the chocolatier's renowned bite-sized treats but in liquid form. The liqueurs are rich and gratifying, though not too sweet, which makes them extremely versatile for creating tempting mixed drinks. What began as a single liqueur for the brand has transformed into a nice portfolio. Whether you choose milk, dark, or white chocolate, Godiva will help you make some utterly delicious chocolate martinis and other indulgent cocktails. Godiva has been one of the best-known names in gourmet chocolates since Belgian chocolatier Joseph Draps started the company in 1926. Developing liqueurs based on that experience would be a natural fit for any company who wanted to tap into the cocktail scene. The first chocolate liqueur was a resounding hit upon its initial release and drinkers who remember that one still lament its passing. Things may have changed considerably over the years, but the quality and that signature rich chocolate base have remained the same. The original recipe was transformed at some point, the brand experimented with flavors like caramel and mocha, and they even produced yummy chocolate vodkas for a while (those are still around at some liquor stores but no longer promoted by Godiva). Through all of those trials, the Godiva Liqueur portfolio has been narrowed down to three of the best: Dark Chocolate, Milk Chocolate, and White Chocolate. Who needs to expand when a smaller selection can be done to perfection, right? They truly are impressive and a great addition to anyone's bar, whether you're a chocoholic or someone who simply enjoys the occasional chocolate cocktail. All of Godiva's chocolate liqueurs are smooth and delicately creamy. They are bottled at a delicate 15 percent ABV (30 proof). While they are pricier than many other chocolate liqueurs, devoted fans continue to point out that they're worth it. This is the Godiva expression that can easily become a staple in any bar—the bottle may only say "Chocolate Liqueur". It is everything you'd expect from a premium chocolate liqueur, offering a rich flavor, silky texture, and unforgettable taste. It's fabulous in a variety of cocktails, from a chocolatini to a chocolate margarita. You can even use it to put a new twist on old favorites like the brandy Alexander and mudslide if you like. Try it in any cocktail that calls simply for "chocolate liqueur" or as a substitute for dark crème de cacao if the drink could use a slightly creamier touch. The flavor gets a little more complex with Godiva Dark Chocolate. It features the additions of black cherry, candied orange peel, and cold brew coffee against an unsweetened dark chocolate background. This one's definitely for the more adventurous chocolate lovers and it has some fascinating cocktail potential. Try it in any of your favorite chocolate cocktail recipes for a dark twist and be sure to pair it with coffee and vanilla in a delightful mochatini. One recipe that calls for it specifically is the dark 'n fluffy in which the liqueur is mixed with marshmallow vodka. The liqueur's darker profile can also put an intriguing spin on recipes like the Bay Hill hummer and the liquid bourbon ball when used instead of crème de cacao. Then again, it's perfectly fine on its own over ice, as a quick way to spike hot chocolate, and it definitely makes a very tasty ice cream topping. Softer and more delicate, this liqueur is a mix of white chocolate and Madagascar vanilla. It's beautiful and unique, offering countless opportunities to explore its potential in cocktails. 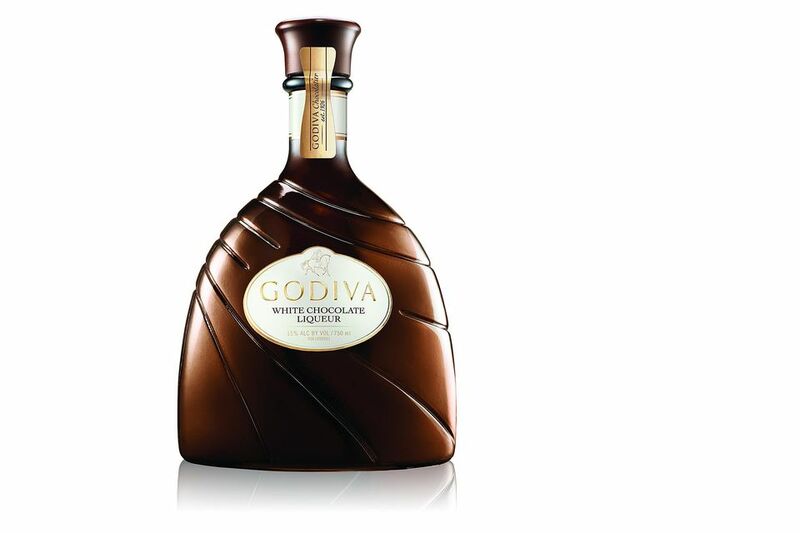 Godiva White Chocolate mixes well with fruits in drinks like the chocolate & orange martini where it will, once again, lend the drink a creamy touch. It's also a great substitute for cream in recipes like the white Russian where it will also lighten up the mix. As an alternative to white crème de cacao, you'll also find the white chocolate liqueur useful when you want the drink's other ingredients to control the final color. Grasshopper, anyone?